Home / Automotive / News / World's Greatest Drag Race – Volume 8! In case you live under a heap of used tyres, you'll know that, once a year, the guys at Motor Trend do The World's Greatest Drag Race, and now it's time for Volume 8. So, this time, the guys are back at the Vandenberg Air Force Base in California, USA, to pit the 12 finalists from their 2018 Best Driver’s Car competition against each other on the tarmac built to accommodate the landing of NASA's Shuttle. 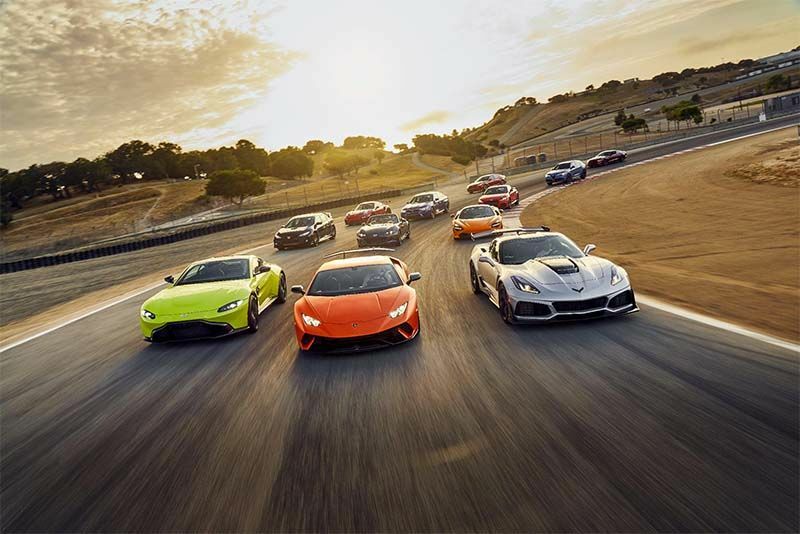 As Motor Trend says, "See the McLaren 720S, Porsche 911 GT2 RS, Honda Civic Type R, Lamborghini Huracán Performante, BMW M5, Ford Mustang GT PP2, Alfa Romeo Stelvio Q4 Quadrifoglio, Kia Stinger GT, Audi TT RS, Chevrolet Corvette ZR1, Mazda MX-5 Club, and the Aston Martin Vantage face off in an epic quarter-mile sprint for glory and ultimate bragging rights." And epic it most certainly is. Hit the play button below to check out who is king of the quarter, and even get a sneak peek at a surprise entry when they decide to do a half-mile drag too, which you can watch here.